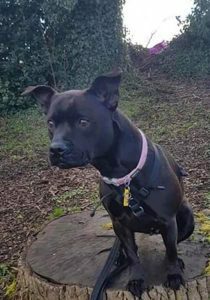 This is Ebony, a tiny 18 month old Staffie who was originally in another rescue before being transferred to Underheugh Rescue in West Scotland. She’s a very sweet girl and travelled with another dog with no issues. While she was in a home she was well-mannered, clean and great with people. 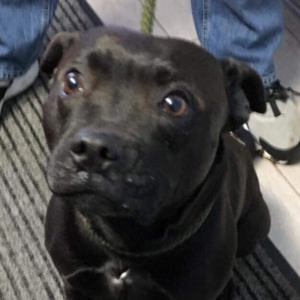 She’s going into foster temporarily until the right furever home can be found. They also usually only rehome to families with children over 10 when they know the dog’s full history as in this case. 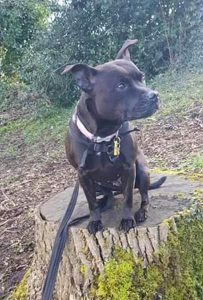 Please complete the enquiry form if you’d like to rehome Ebony.